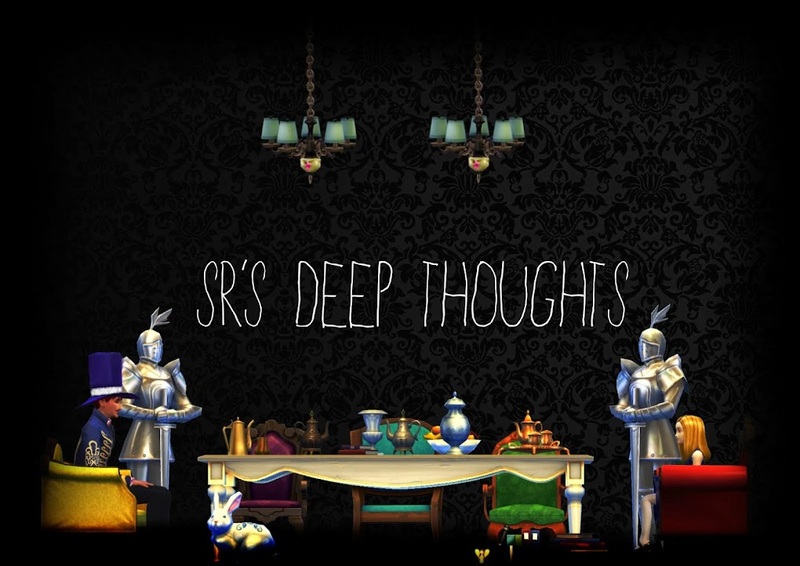 SR's Deep Thoughts: Grr PETS!...EA this is getting annoying. So right on the back of my misadventure with the pets demo, I take a trip to the ol' forum. Now I click the login button, then what happens, one expects to be directed to a login page. Well If that was your guess then you were wrong, rather I get directed to Origin, Pets Demo Download, I kid you not, I clicked "login" most definitely, not the ad on the opposite side, but "login" and it took me to Origin. I figure it must be linked with the ad on the other side because they link to the exact same place. Has anyone else had this happen, I had it happen twice, but have not been able to replicate it since. I still can't wait to buy it. I just tried it myself after reading this. It went to the sign in page the first time, but then to Origin the second. This reminds me of the time that I reported a sim on the Exchange, expecting it to report it as it should. Instead, I got an email saying that I asked a question on EA's customer service site, with the reason I reported it being the title of my "question". 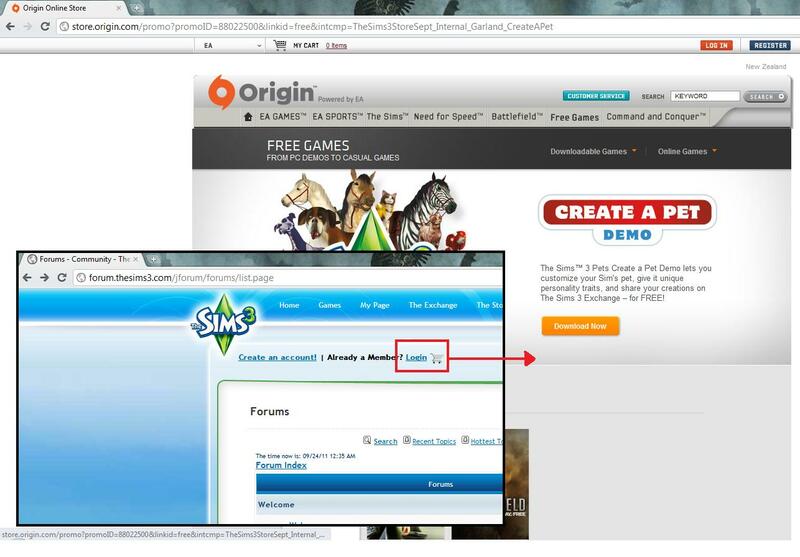 EA fails, hard.
" with the reason I reported it being the title of my "question"." LOL. Every time I try to click on "login" or "logout" I get taken to the Hidden Springs download page. Randomly it also takes me to the AU store that has nothing in it other than the HS page. Now it's taking me to the Pets download. The only place "login" or "logout" work is on the home page.